germinated seed will grow into a healthy and harvestable plant. Settle for nothing less than the best feminized cannabis seeds available! When you want to buy the best products to grow at home, choose Growers Choice Feminized cannabis seeds! We offer dozens of premium, lab-tested, feminized cannabis seed varieties for you to browse, with extensively detailed product descriptions and characteristics so you always know precisely what you’re going to get. Though we carry a great selection of regular cannabis seeds, we also stock auto-flowering and high-CBD varieties that are just as reliably feminized! When you pick Growers Choice, you know you’re getting high-quality strains, and we don’t just expect you to take our word for it! We love to showcase our happy customers (and their plant babies) on our Instagram page and around our site. Take a look around – we’re sure you’ll like what you see! Male cannabis plants pollinate, and pollination causes plants to go to seed, making for inferior buds. With Growers Choice feminized cannabis seeds, you get only hardy, potent buds packed with medicinal potential. No need to weed out the male plants and risk missing some, or wind up with only half as many plants as seeds, come harvest time. 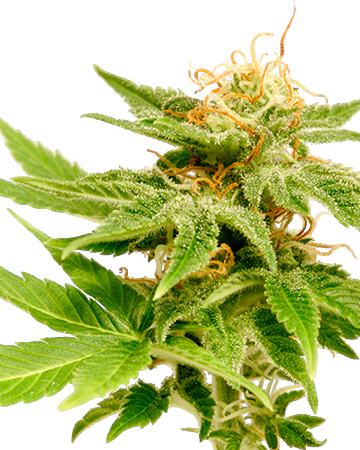 Check out our informative article on feminized cannabis seeds to learn more. Once you go feminized, you never go back – that’s for sure. I would never go back to other seed sites, either, after ordering from here. Nothing but great experiences, time and time again. How Do Feminized Cannabis Seeds Work? Feminized cannabis seeds work by engaging a useful trait many plants possess: the ability to pollinate themselves. 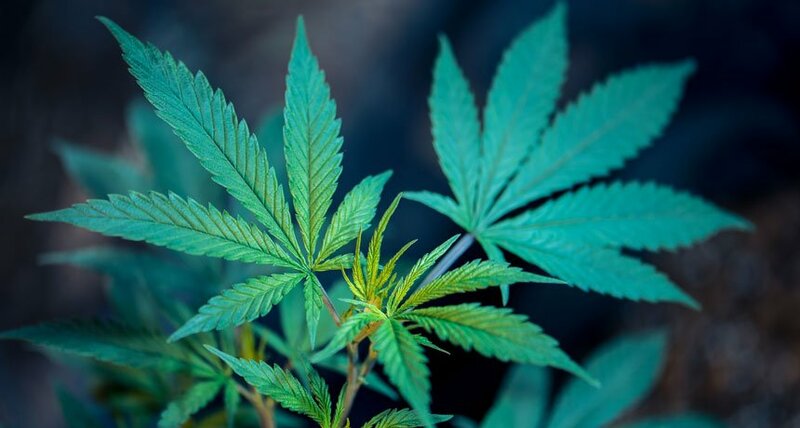 In regular instances, male cannabis plants pollinate female plants, which causes plants to go to seed, which is great if you want more cannabis seeds, but disastrous for the product of quality cannabis flowers or buds. 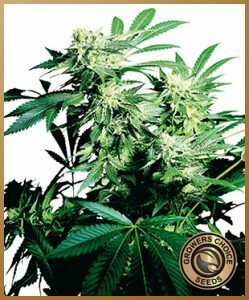 With Growers Choice feminized cannabis seeds, you get only hardy, potent flowers packed with medicinal potential. Feminized cannabis seeds remove the need to carefully monitor your baby plants and weed out the male plants, a task that comes with the risk of oversight and damage to your entire crop. And if you are forced to pull up half your plants, you wind up with wasted space and wasted money. Choosing feminized cannabis seeds makes your gardening situation that much simpler, whether you’re new to the process or have been growing your own medicine for decades. No need to head to a store when you can buy feminized cannabis seeds online. We’re so pleased to sell our seeds in select stores across the country, but if you can’t find a store near you, or need a specific strain, ordering online is always your best bet. It couldn’t be easier to buy feminized cannabis seeds here; simply make your selection and place your order through our online store, and we’re always happy to answer any questions or concerns you might have about the process. Because here at Growers Choice, we want to become your one-stop-shop for cannabis seeds. So regardless of whether you’re looking to buy regular feminized seeds or auto-flowering feminized seeds, we have what you’re looking for. And when it comes to a wide variety of strains to choose from, we’ve got you covered. We carry a wide range of feminized seeds at all times, so you can rest assured that we’ve got the strains you’re shopping for. If for any reason you find yourself having trouble deciding on which seeds to buy, we’re here to help! 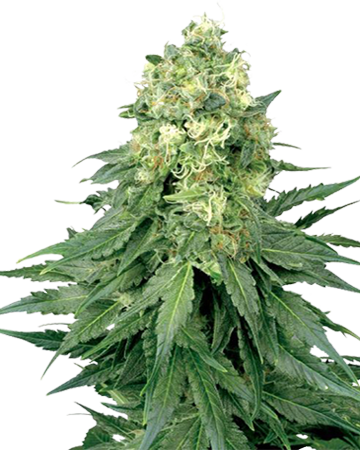 You can ensure a full crop and a great harvest when you grow with feminized cannabis seeds. Buying feminized cannabis seeds isn’t just about making the growing process easier. It’s also about getting a more complete crop come harvest time. Back in the early days of growing marijuana, growers had to watch their plants closely for male individuals. 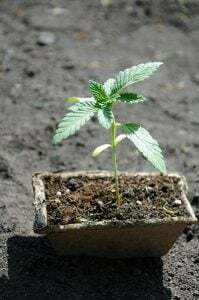 Cannabis plants usually develop as separate male or female plants. And before feminized seeds were available, an average of 5 out of 10 plants would commonly develop into males. This was problematic, since male plants can pollinate the females — effectively reducing the harvest of an entire crop. Feminized cannabis seeds first appeared on the market in the late 1990s, though at first they were not very reliable. But fast forward to today, where not only are fully-feminized seeds more available, but they’re also more stable and reliable than ever before. You can rest assured that when you buy feminized cannabis seeds, you’ll only get female plants, allowing you to plant fewer seeds and enjoy greater success. You won’t have to worry about that one overlooked male plant damaging your crop. At Grower’s Choice, we’ve got over 40 strains of premium quality, fully feminized cannabis seeds for you to browse through. So whether you’re growing your own marijuana for medical purposes, or for recreational use, we have what you’re looking for. From popular strains like OG Kush and Diesel, to high-CBD strains popular for medical use, like CBD Critical Mango or CBD Blueberry, we have what you need on our digital shelves. When you buy feminized cannabis seeds from Grower’s Choice, you’re getting only the best, lab-tested, genetically-guaranteed seeds delivered straight to your door. 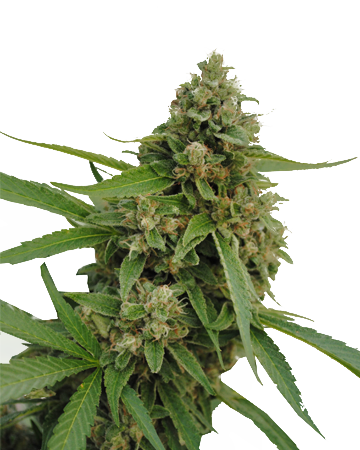 Looking for the Best Feminized Cannabis Seeds? You’ll find tons of the best feminized cannabis seeds here at Growers Choice, but if you’re not picky and just getting started, let us help you out with a few suggestions! 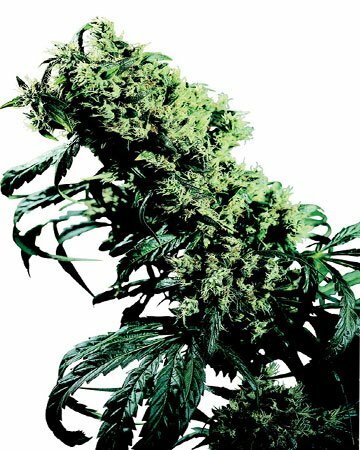 We sell a wide variety of cannabis seeds – more than two dozen strains! Back then, 130,000 people were registered as medical cannabis users in the US, and that year $53 billion in sales came in from cannabis (legal and illegal)! Whoa! At $10 billion in national sales, the industry topped its previous number by over 30%. Veterans got more access to this healing medicine, and Mexico and Israel improved their laws. When feminized seeds first hit the market, there was a lot of uncertainty regarding their viability and reliability. But years have passed, and our capable experts are comfortable announcing their ultimate success: Growers Choice offers the best feminized seeds; ones that will grow into flourishing, bud-heavy, healing plants, and won’t leave you with unsprouted seeds or hermaphroditic plants. Speaking of unsprouted seeds: of course, cannabis seeds are all natural, and there will inevitably be the odd seed that just don’t make it. But at Growers Choice, we want to make sure that number stays as small as possible. That’s why we offer the highest germination guarantee in the industry, a whopping 90%! If fewer than 9 of 10 seeds you order germinate, we will top up your supply, free of charge. An easy-to-follow germination method protects your investment! As long as you’ve followed the simple instructions in our Germination Guide, you’ll covered by this outstanding guarantee. Our guide doesn’t have a pile of hoops to jump through, or tricky steps to follow. It is known as the “water glass and paper towel method”, and is widely accepted by gardeners, both cannabis and vegetable, alike. Simply soak your seeds, then place them within a wet paper towel for a few days, and you’re sure to see results. No fancy equipment, expensive and time-consuming lighting setups – no worries! At Growers Choice, we offer one of the best selections of feminized cannabis seeds – 30+ strains, with more to come. For our regular feminized cannabis seeds, we chose 11 popular strains that offer a great combination of effects and growing types. Get energized with Durban Poison! 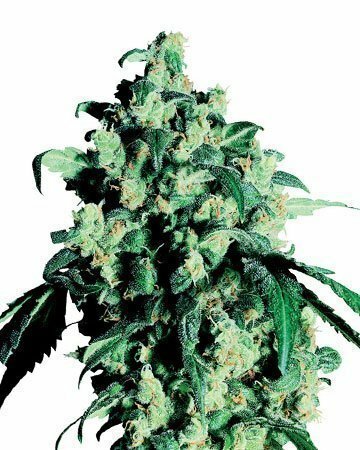 Amnesia flowers are uplifting and energizing, and can reduce stress and improve mood. They have a moderate flowering stage of 9-10 weeks. Cinderella 99 is a great choice when you need to relax, but still have things to get done. The strain has a high, 22% THC content. Diesel has a moderate THC level, and can leave you with a euphoric, energizing sensation great for improving focus and relieving anxiety. Great White Shark is an indica-dominant strain perfect for evenings, with a sedative effect that soothes away pain. Jack Herer is a balanced hybrid with a peppery, earthy flavor. This popular strain leaves you feeling blissful and creative. Mazar relieves stress, anxiety, and migraines, and is a fruity-flavored choice for eliminating insomnia. OG Kush is a world-renowned hybrid that evokes deep relaxation and a body stone effect that can fight pain and stress. Power Plant sativa flowers clear your head and obliterate depression, while also tackling pain. Get your indica fill with Great White Shark! Super Silver Haze will motivate you and curb stress; the strain can also fight nausea in cancer patients. White Widow has sky-high THC that results in a euphoric couch-lock effect. While you’re deeply relaxed, you’ll feel pain, stress and anxiety melt away. American Haze sativa has 24% THC for a creative, energizing high that gives way to relaxation, soothing pain, stress, and anxiety. Our 9 feminized auto-flowering cannabis seed strains make it easy to grow your own medicine thanks to automatic flowering from the ruderalis in their parentage. Our feminized medical, high-CBD cannabis seeds fight pain and inflammation, and a host of other symptoms and conditions, without causing any psychoactive effect. We offer three specialty strains. Are Feminized Cannabis Seeds Worth It? If you’re not sure whether or not feminized seeds are worth buying, take a look at some of the information we’ve compiled about the subject, where we’ve explained why feminized seeds are a great alternative. Not only can they save you money and space, but feminized seeds can also save you from gardening-related stress (and depending on the strain you order, the bud you grow might also be able to help reduce stress when you smoke it!). If you’re new to growing, buying feminized cannabis seeds shortens the learning curve. You won’t have to figure out how to identify male plants. And by taking away the process of weeding out male plants, you’ll save money on seeds. Some growers have reported greater potency in buds produced by feminized seeds, as well as plants that are more uniform size. 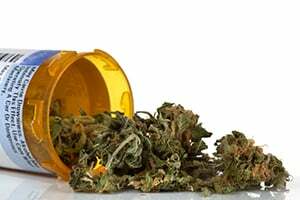 Can I Get Medical Feminized Cannabis Seeds? benefits, sometimes people want an option that won’t leave them with a cerebral high. That’s where our CBD strains come in. They’re all high in CBD and low in THC – low enough that the CBD overtakes the THC, making them excellent for relieving inflammation and chronic pain without the psychoactive effects! With our medical feminized cannabis seeds, you can grow your own medicine right at home, without having to worry about learning how to identify male plants, or having to order more seeds than you need to. All of our medical seeds are feminized and come with a 90% germination guarantee. That means less stress for you, and a better crop of medical-grade marijuana come harvest time. We lab-test and hand select each seed you buy, so that you can be sure you’re getting only the highest quality seeds on the market. Because when it comes to treating symptoms with medical cannabis seeds, we want you to be confident that you’re getting exactly what you need. 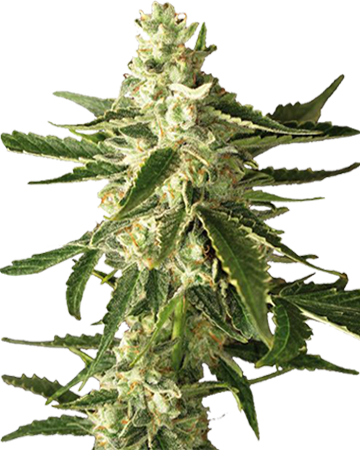 Available in the seed count you want, Growers Choice Durban Poison feminized cannabis seeds really represent the cream of our crop. This pure sativa, grown originally in the wilds of South Africa, doesn’t leave you hanging. You’ll experience all the energetic and uplifting height this strain promising with its moderate THC and incredible ability to both relieve stress and focus your mind. You’ll get plenty of bud off this fatigue-fighting plant, so why not pop it in your cart today? At Growers Choice, we’d be nowhere without our loyal online customers, but we’re also eager to expose a wider audience to our premium products. That’s why we offer great savings so you get the best deal when you buy wholesale feminized cannabis seeds for your dispensaries, garden centers, and nurseries (and any other retail store that wants to give their clients another option). As a wholesaler, Growers Choice goes far beyond just procuring and shipping cannabis seeds. We also offer our wholesale partners a ton of fantastic benefits including savings of up to 70% off retail price, SEO consulting, graphic and web design services, social media partnerships, and white-label options. Get in touch today to learn how pairing up with Growers Choice to offer the best feminized cannabis seeds can benefit both your business and your customers! I’m not saying I’m a chronic…but I’ve bought a lot of mj seeds in my day. These ones are right up there with the best I’ve found. Try Jack herer or Tangerine dream or something – seriously legit genetics. I’m only looking to grow cannabis on a small scale, since I live in an apartment and it’s still technically frowned upon in my state. I was told feminized cannabis seeds were the way to go, and that’s all I’ve ordered. I’m very happy with the results from my Growers Choice purchases. I may not have much experience but it was a breeze to get the plants to develop healthy flowers. I recommend them to everyone. 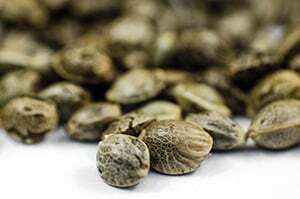 Check out our informative article on feminized cannabis seeds to learn more.